The tomatoes in the photo above starting from the top left and moving clockwise are Pineapple, Aunt Ruby’s German Green, Mortgage Lifter, Red & Yellow Stuffers, Black Krim, Kellogg’s Breakfast, Big Rainbow, Green Zebra and Great White. All are heirloom varieties. All produce sandwich-sized tomatoes. All are DELICIOUS! We know that most tomato gardeners will grow a few cherry-sized tomato plants, maybe a few paste tomato plants, but for tomato gardeners, their passion is the sandwich/slicing tomatoes, and we would be remiss if we did not dedicate a newsletter to these wonderful fruits. Sandwich/slicing tomatoes do not occur naturally. They are the result of traditional breeding practices that began more than 1000 years ago. The original primitive tomatoes were the small, cherry-sized tomatoes that still exist today. When mankind fell in love with this fruit and began to cultivateand nourish individual plants, tomatoes began to get larger. Along with variations in size came variations in color, shape, flavor, etc. Sandwich/slicing tomatoes have existed for more than 600 years. In fact, some of the tomatoes that the Spanish originally brought back to Europe in the early to mid-1500s were sandwich/slicing tomatoes. This newsletter describes some of Harvesting History’s favorite sandwich/slicing tomatoes. 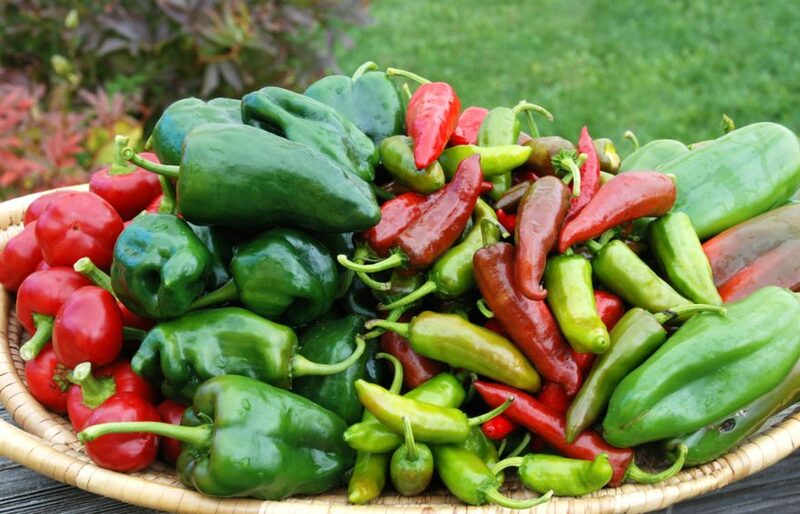 These selections are some of our favorites because of flavor, vigor, productivity and the fact that seed is always available, year-in and year-out. Unless you save your seeds every year, what is the point of falling in love with a particular tomato variety if you can’t obtain seed for this variety each year? The seed for the tomatoes lovingly discussed in this newsletter is alwaysavailable. Hurray for that! The “Black or Purple Tomatoes” have an interesting story. Most “black or purple tomatoes” originated on the Crimean Penninsula located in the Ukraine, Russia, Europe. During the Crimean War (1853-1856), Russian soldiers from the more northern regions of Russia discovered these delicious and oddly colored tomatoes on their campaigns to subjugate the Ukraine. Many of the soldiers carried seeds back to their families when the war ended, and thus, the “black or purple” tomatoes proliferated throughout the eastern sections of Mother Russia. I LOVE this tomato! I love its extraordinary orange color. Both the skin and the flesh are intensely orange. I love the incredible tomatoey flavor – rich, strong and only slightly sweet. I love the fact that Kellogg’s Breakfast is reliably very prolific, actually unusually so given the 1-2 pound size of the fruit (about thesize of the Black Krim’s). I love the fact that it is fairly vigorous. When just about every other tomato vine in the garden has succumbed to blight, Kellogg’s Breakfast is still producing. It is not resistant to blight, but it is one of the last varieties to be defeated by this blasted spore borne disease. Finally, I love its history. Like Mortgage Lifter, Kellogg’s Breakfast originated in West Virginia where it was collected by a seed saver, Darrell Kellogg, of Redford, MI. Darrell shared seed with famed heirloom tomato grower, Bill Minkey, (the same Bill Minkey who popularized Aunt Ruby’s German Green tomato) of Darien, WI. Bill then introduced it to The Seed Savers Exchangeof Decora, IA, and it rapidly became a favorite with Seed Savers members. This is a quote from a woman who knows tomatoes better than just about anyone on this planet, Amy Goldman, and she rarely expounds like this, so you know that this tomato is really superlative. What is clear is that Great White is an extraordinary tomato. The indeterminate vines produce 1-2 pound tomatoes. The flavor is very, very sweet, so you might want to think of it as a dessert tomato or in a sweet salad with fruit like apples, grapes or pears. 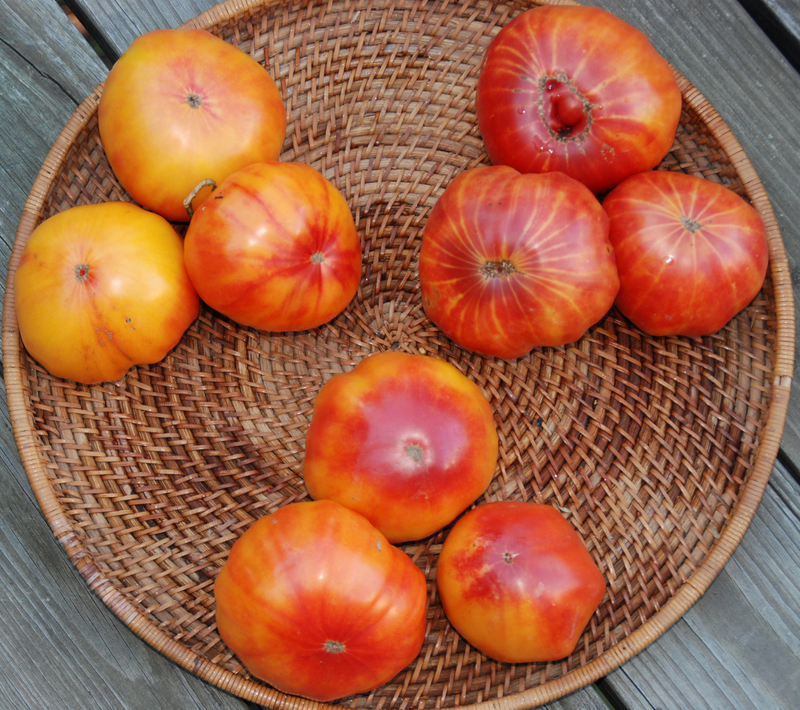 In The Heirloom Tomato, there is a recipe for Galette of White Peaches and Tomatoes (essentially a tomato tart) where Great White would be the perfect tomato to use. Though I am not a fan of white tomatoes, I grow this tomato every year because of its stunning flavor. It is worth saving a place in your garden for this one. The plants are indeterminate, so they need to be staked, but they are also very prolific for big tomato vines and do not succumb easily to most of the diseases that plague tomatoes. The fruit averages about 10-12 ounces. It is the star ruby, however, which appears on all of the fruit that I have grown that is most dear to me, because as I slice the star off the fruit I cannot help but be thankful for all of the remarkable people who have saved, for the rest of us, such garden treasures. Thank you, Bill Minkey and thank you, Ruby Arnold. Without a doubt, the most frequent tomato question we get at Harvesting History is “What is your favorite tomato?” I do not have A favorite tomato. I have a favorite slicing tomato, a favorite paste tomato, a favorite cherry tomato, a favorite red tomato, etc., but I can tell you that if there were nomore tomatoes to be had ever, the tomato I would miss the most is Pineapple. For me, Pineapple is as close to the perfect fruit as it gets. The plants are indeterminate, and so they need to be staked. They are quite prolific, and they are vigorous, though not immune to blight and some of the other tomato diseases. I think they are the most beautiful tomatoes available. Pineapple is a bi-color usually red and orange, but sometimes red, orange and yellow (which technically would make it a tri-color). When sliced, at the center of each slice is a Rorschach Ink Blot-like pattern in bright scarlet. This scarlet design is then surrounded by orange and yellow. The overall effect is dramatic. Arranged on a bed of salad greens, the slices are absolutely stunning. And now let’s talk about taste. This tomato has magnificent flavor. It is notjust sweet. It is truly fruity – a complex combination that is hard to describe in words, but oh so marvelous to taste. I always add several Pineapple tomatoes when I am making sauce and this coming season, I am thinking about making a paste purely from Pineapple tomatoes. Very little is known about the history of this tomato. It has been around for at least 20 years, probably longer, but not even the Seed Savers Organization in Decorah, Iowa seems to know its origins. If you don’t know this tomato and are looking for one to try, this would be my top choice. It is simply magnificent. For many years, I believed that these three tomatoes were essentially thesame fruit, and I was so confounded by the fact that no one I talked to could definitively describe the differences that 8 years ago I decided to grow allthree of these tomatoes. Even though they appear to be very similar in the picture above (Clockwise from top left: Pineapple, Mr. Stripey, Big Rainbow) and in real life, these three tomatoes are actually three different tomatoes with quite different personalities, but let’s discuss their similarities first. All three tomatoes are produced on indeterminate vines that require staking. They are all approximately the same size – 1-2 pounds. They are fairly good producers, but they are not extraordinarily prolific, and they are all considered bi-colors. This is where their similarities end. We have already discussed in great detail the Pineapple tomato in thisnewsletter. Of the three it is the sweetest with a complex fruity flavor and,perhaps, the most prolific. Mr. Stripey is the most controversial of the three and the most savory in flavor. Though it retains some sweetness, the strength of this tomato lies in its rich tomato flavor. Unlike Pineapple and Big Rainbow, which are essentially yellow-orange tomatoes with red blushes, Mr. Stripey is a red tomato with fairly well-defined orange-yellow stripes. 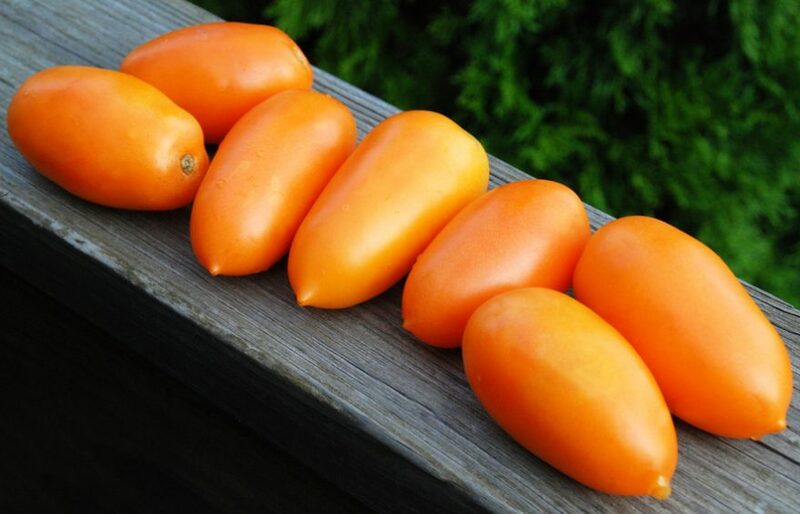 It is often confused with a much smaller, British heirloom known as Tigerella, but it is not Tigerella and they are, in fact, two different tomatoes. Mr. Stripey was discovered by Wayne Hilton, the former owner of Totally Tomatoes. He is believed to have found it somewhere in Georgia. I feel that, of the three, Mr. Stripey makes the best tomato sandwiches, but then I prefer high acid tomatoes for my tomato sandwiches. Big Rainbow is essentially a yellow-orange tomato with a large red blush at its blossom end. According to Amy Goldman, this tomato closely resembles a tomato introduced by J. M. Thorburn and Company in 1893 known as Thorburn’s Lemon Blush Tomato. It was developed by Elbert S. Carman, the editor of the Rural New Yorker. 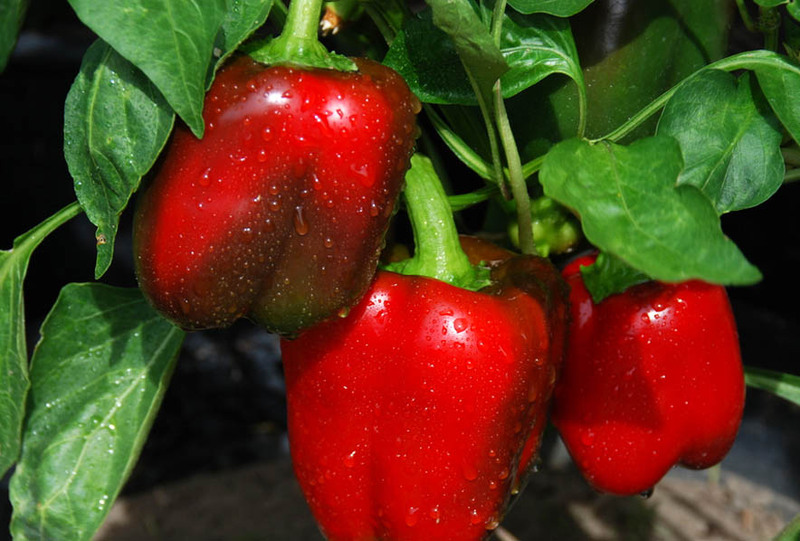 Big Rainbow is a lovely tomato, not as sweet as Pineapple, but with an intense and unforgettable flavor. 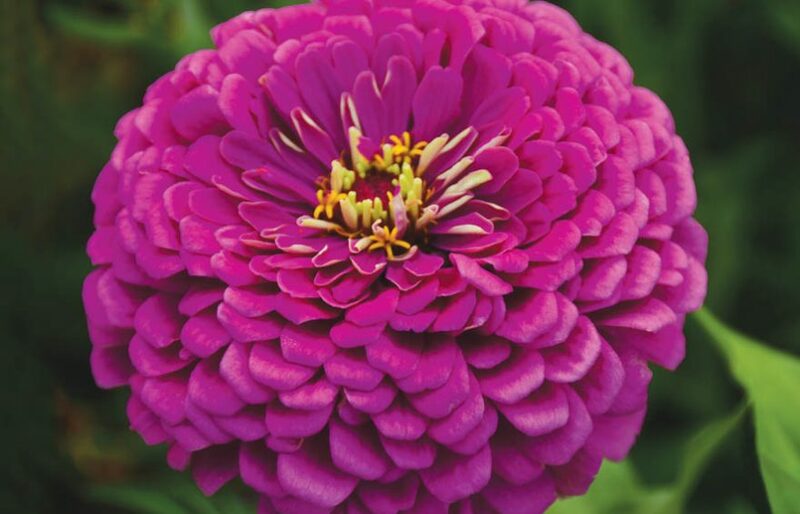 You really do not need to grow all three of these in your garden, but it is nice to alternate these varieties each year. Each of you, I suspect, will fall in love with one and that will be a mainstay of your annual garden, but it is nice to know their differences. Silvery Fir Tree is a very unusual tomato. It makes an excellent container tomato plant. Silvery Fir Tree is a natural dwarf tomato – the plants rarely reach a height of 36 inches. The leaves are very distinctive. They are highly serrated and very feathery. This tomato was introduced into the United States from Russia in 1995 by Kent Whealy, one of the founders of the Seed Savers Exchange. 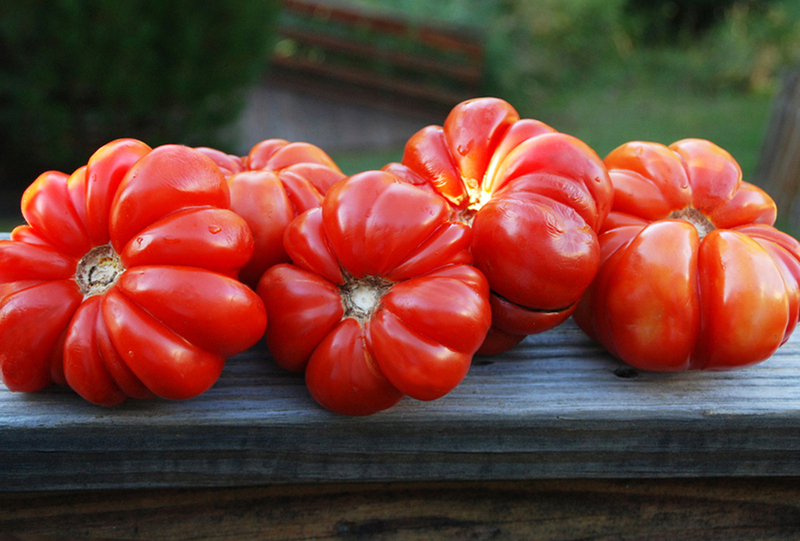 Kent had been given seeds for this variety by Russian tomato officionado, Marina Danilenko. Since that introduction, Silvery Fir Tree has become a favorite with gardeners in Zones 1-4 because it is truly a cold tolerant tomato. It will set fruit with great regularity when the night time temperatures fall below 70 degrees Farenheit. But, Silvery Fir Tree can also flourish in the cooler months in Zones 8-10. Itproduces an abundance of medium-sized, scarlet, slicing tomatoes which have a mild tomatoey flavor. 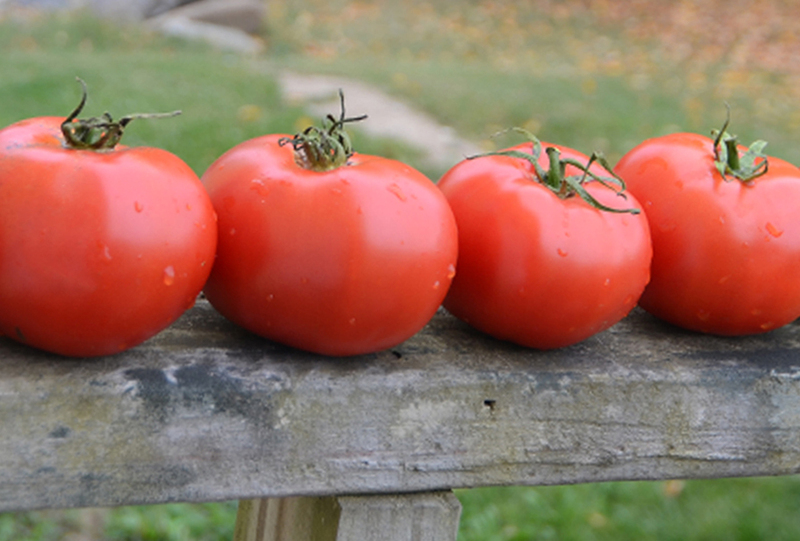 If you are going to grow tomatoes in containers, there are a few rules you should follow. Tomatoes should be grown in 18 inch diameter pots that areat least 14-16 inches deep: ONE PLANT PER CONTAINER. Most tomatoes require staking, so plant the stake when you plant the seedling. Also, on the day you plant the seedling, place a generous ring (1/2-3/4 cup)of bonemeal around the seedling, approximately 6 inches from the stem.The ring of bonemeal will be approximately 12 inches in diameter. If you are growing Heirloom Tomatoes, you will have to apply the bonemeal ring every two weeks for the first six weeks. Heirloom Tomatoes are very susceptible to blossom end rot which is a calcium deficiency. The bonemeal very effectively cures this problem. Container grown tomatoes must be fertilized at least every other week withfull strength fertilizer that is rich in phosphorus. Tomato plant food does agood job. Plants that are not fed in this way will have limited fruiting. 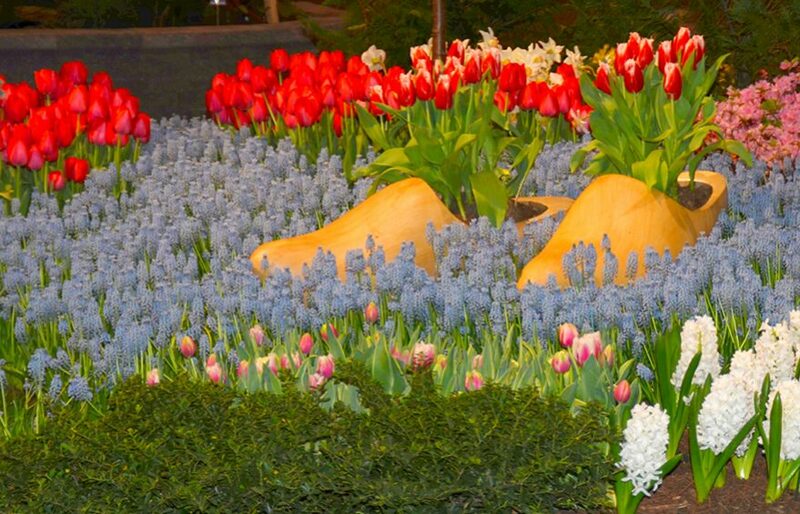 In the Black Hawk region of South Dakota, near Rapid City, lives a group of the most dedicated Zone 3-4 gardeners in the world – Cathie Draine and her friends. They have been growing Silvery Fir Tree for years, and they will tell you it is a wonderful cold tolerant tomato. Gardeners in Zones 8-10 take the advice of these South Dakota gardeners and plant some Silvery Fir Treetomatoes in your winter garden. Cherry tomatoes are the best choice for gardening with children, but if you want to introduce children to the diversity of tomatoes, we suggest youconsider Costeluto Genovese, because of all the slicing tomatoes that weknow, this one, in my opinion, is the most beautiful. Its shape, its ribs, butmost of all its lavishly scarlet color together contribute to making this oneof the most stunning of the heirloom tomatoes. Also, because of its ribs,it looks exotic. It looks like an heirloom tomato. The tomato’s beauty will please and intrigue children, but learning of thistomato’s extraordinary history will also excite them. According to Amy Goldman, from her book, The Heirloom Tomato, Costoluto Genovese is a very old variety – one of the first to be introduced into Europe from South America. The word, costoluto, means ribbed. Ms. Goldman writes that the ribbed red tomato of Oellinger described in 1553, the Pomo amoris fructu rubro of Besler described in 1613, the common Large Red described by Burr in 1863 and the RougeGrosse of Vilmorin described in 1869 were all, probably, Costoluto Genovese. This tomato was brought to the US around 1985 and introduced by Le Marche Seeds International and Redwood City Seed Company. Costoluto Genovese is both beautiful and delicious. Unlike many deeply ribbed tomatoes, the skin is not too thick and definitely not bitter. The flesh is rich and savory. The plants are indeterminate, meaning they grow quite tall, and the individual fruits average about 10 ounces. I would add –a delicious bit of history. As we finish this newsletter about sandwich/slicing tomatoes, we remind youto be aware of the following. The flavor, shape, size, color, productivity andvigor of all tomato varieties are dependent upon and intimately affectedby weather and soil conditions. Tomatoes are incredibly sensitive toenvironmental conditions, especially cold temperatures. Don’t plant yourseedlings too early – cold nights, even though there is no danger of frost,can compromise the flavor of the fruit. Stress caused by drought can diminish the size and productivity. Excessive heat (nighttime temperatures in the 90s) will drive the plants into dormancy. Despite these issues, keep in mind themagnificent flavor that tomatoes offer and relish the experience that onlya BLT sandwich can evoke.